Forget Banksy, there’s a new artist in town. 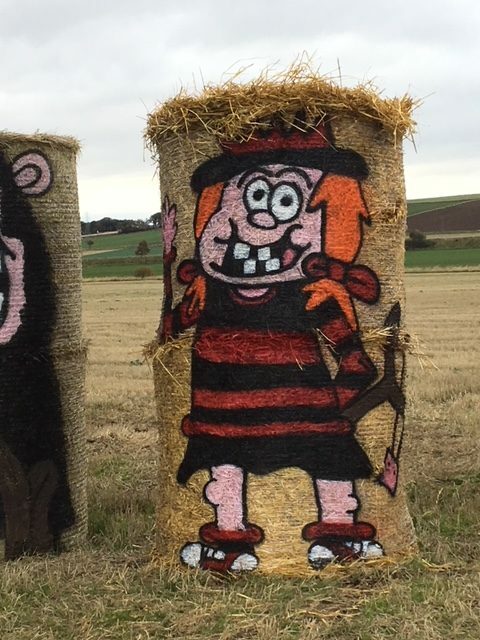 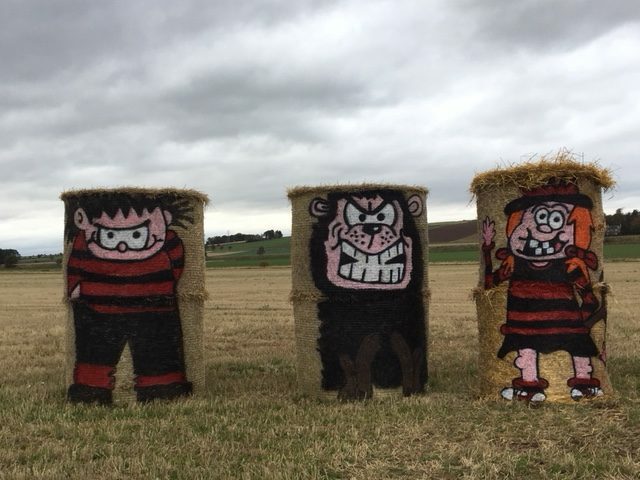 Balesy, otherwise known as Fleur Baxter, has been brightening up the fields around the East Skichen Farm in Angus with her straw bale art. 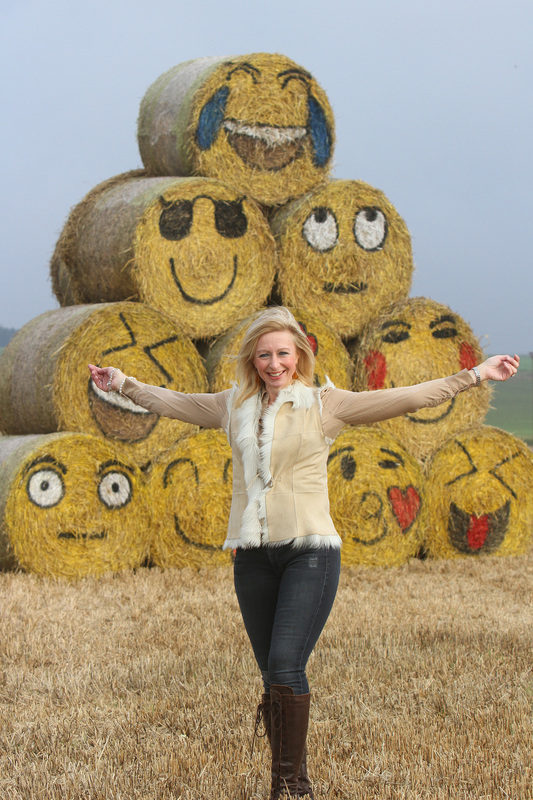 It all started in 2014 when Fleur decided to adorn some bales with various Minions characters. 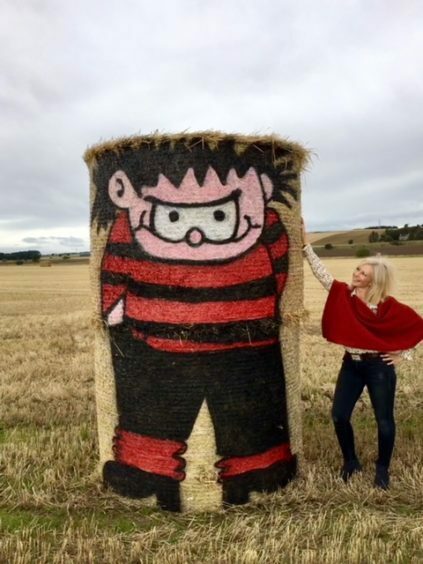 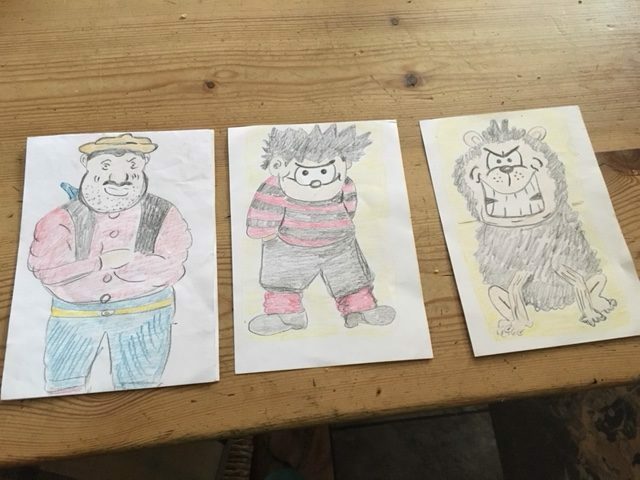 They were such a hit on social media that she went on to create further works of art including Pokemon-themed characters, a giant Pudsey for Children in Need, Star Wars, Dennis the Menace, his trusty pup Gnasher, Desperate Dan and a series of emojis. 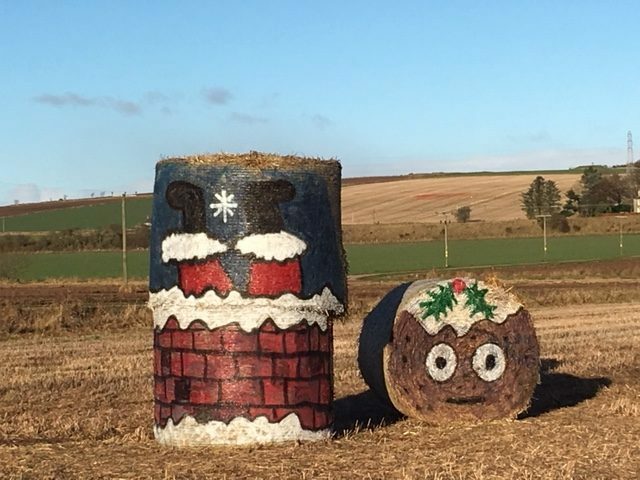 And each Christmas Fleur transforms bales (the bales are made from straw rather than hay) into a festive tableau complete with snowmen, a sleigh and Rudolph. 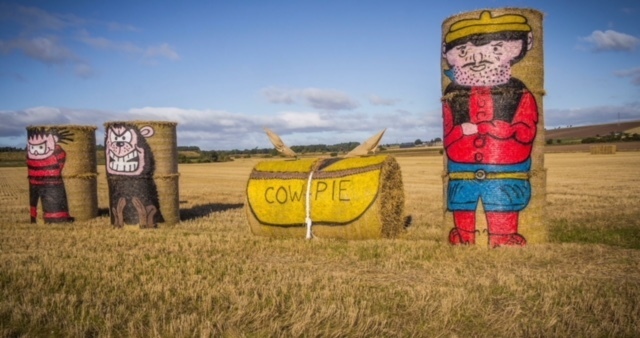 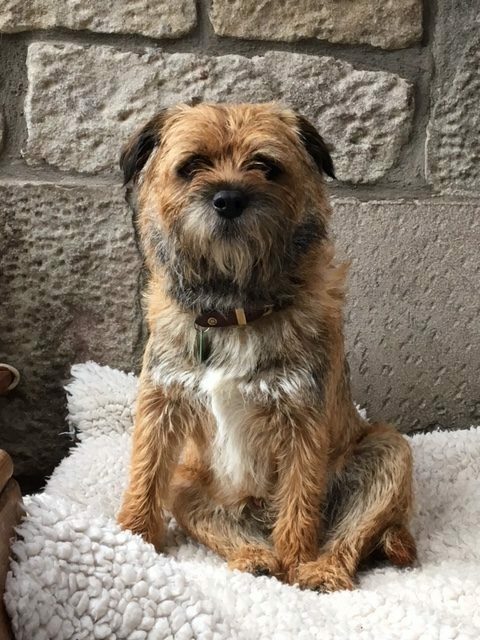 “My sister-in-law affectionately calls me Balesy,” smiles Fleur, who lives near Arbroath, before explaining that she’s not quite sure where her artistic skills have come from. 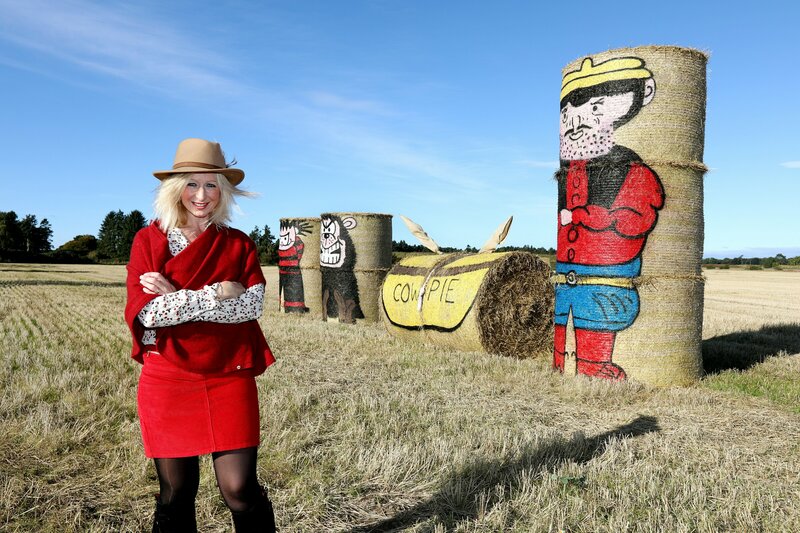 “I don’t have a background in art but I suppose I’m quite creative,” she muses. “I absolutely love cooking – in fact, I had a phone call from the Great British Bake-Off but sadly I didn’t make it through the phone audition. 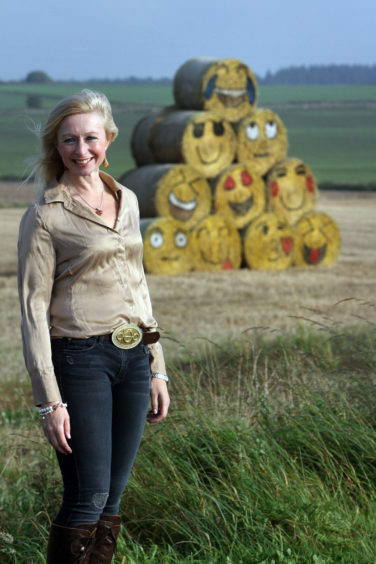 Then Fleur’s husband Campbell manoeuvres the bales into position on his forklift. 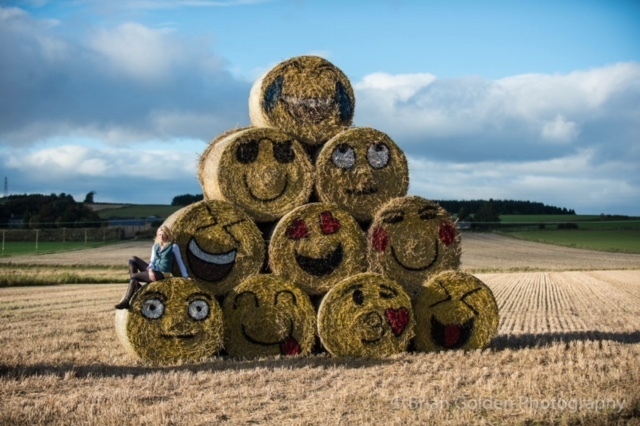 With all the excitement around the opening of the V&A in Dundee, Fleur considered creating a V&A type structure out of bales. 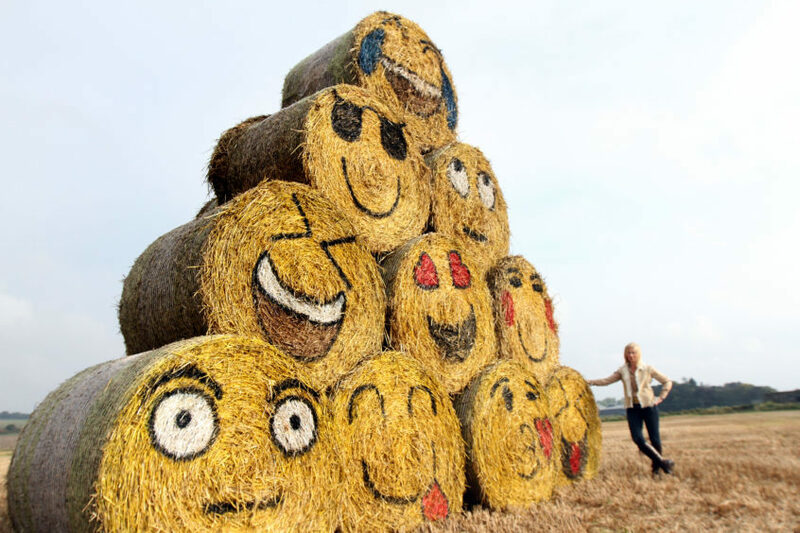 “I think the building is amazing but decided that it wouldn’t transfer very well to straw bales,” she says. 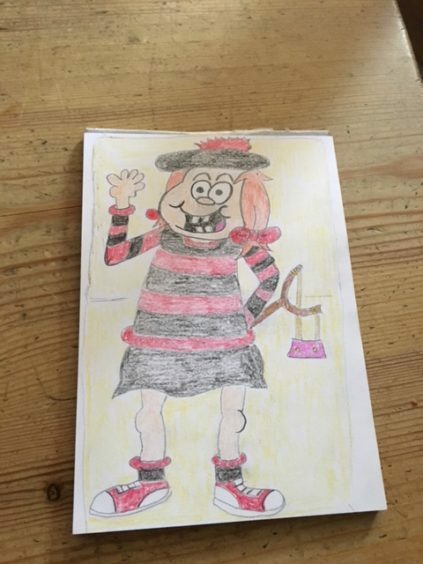 Her latest project is Minnie the Minx and she’s hoping that Minnie, and other future creations, will help her to raise funds for Macmillan Cancer Support – she has set up a JustGiving page after her father was diagnosed this summer with incurable laryngeal cancer. 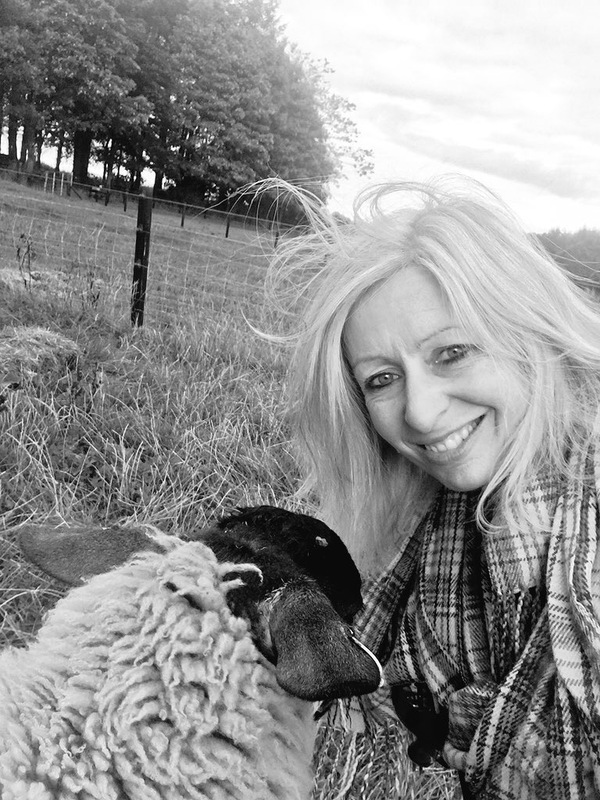 “I’ve never asked for donations before but this year is slightly different,” she says. 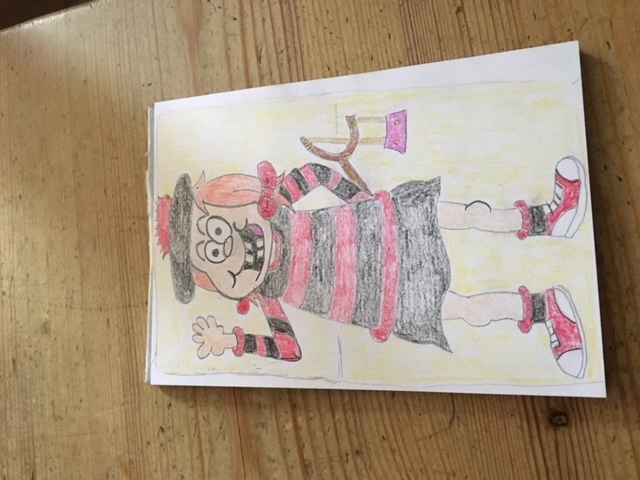 Fleur has received letters from locals thanking her for brightening their day. “They were addressed to to Balesy, Carmyllie, Angus and somehow they managed to wing their way to me!” she smiles. 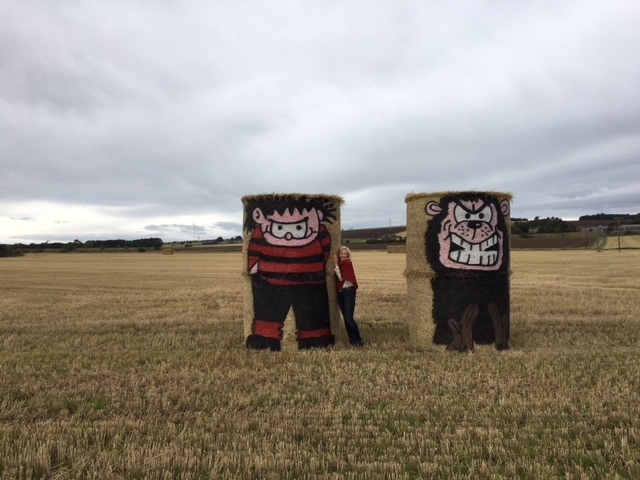 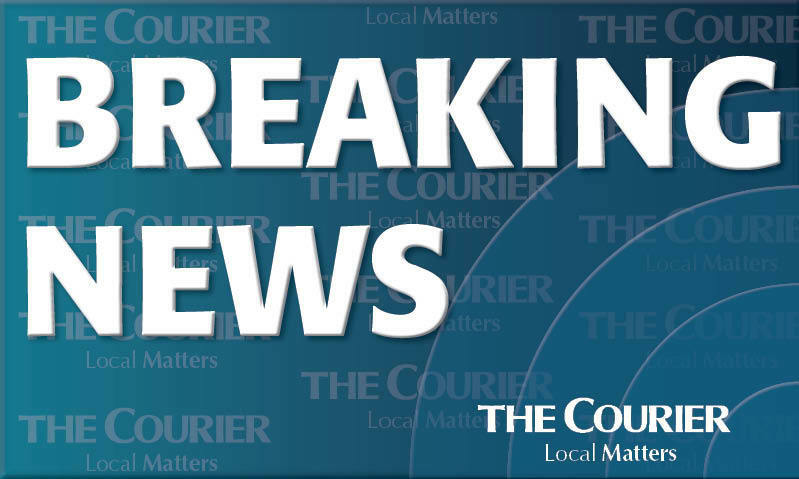 Courier Country’s fields and farms have also recently played host to the Young Farmers Bale Art Competition. “A lot of them were so clever,” says an impressed Fleur. 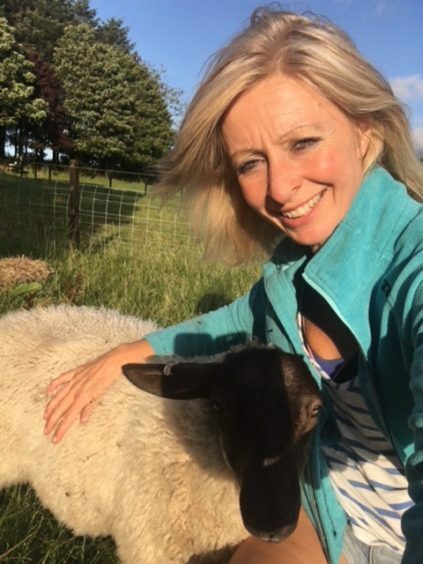 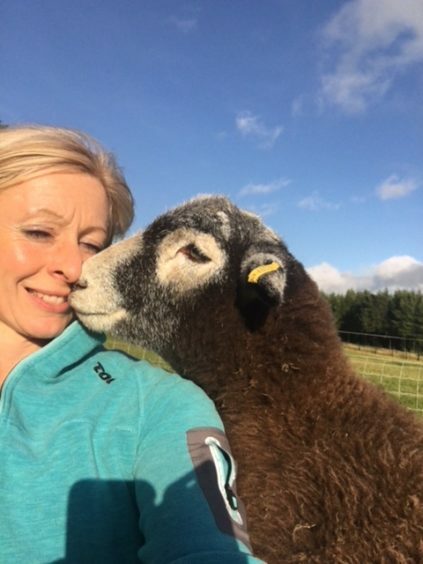 When she isn’t creating her masterpieces, Fleur is working on the farm and looking after their menagerie of ducks, chickens, two horses, two cats, two dogs and two pet sheep. 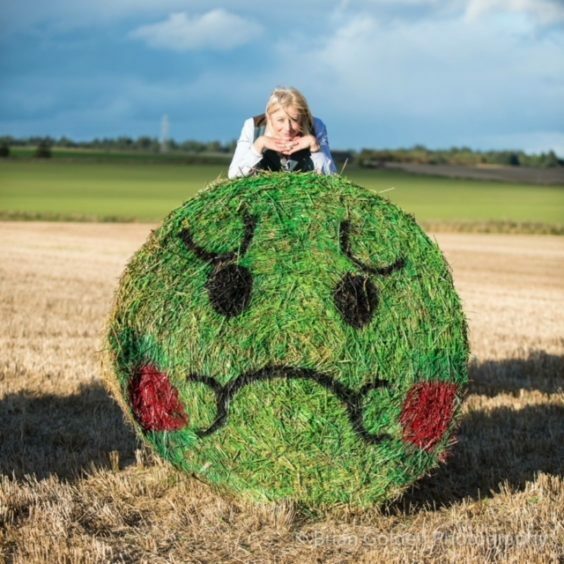 She’s not sure what next year holds for her artwork, revealing that she’ll keep an eye on what’s topical next year. “I’ll see what happens with Disney and Pixar,” she says. 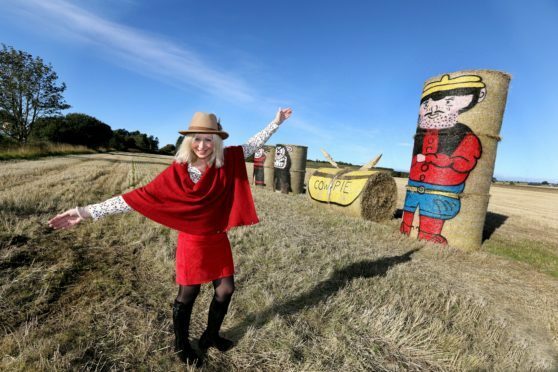 “I’m thinking about Winnie the Pooh or Doctor Who…perhaps I’ll do a Christmas Dalek,” she smiles.